When you travel, it doesn’t have to be difficult to have all the things you need with you for when you go. Whether you are taking a flight, a boat, train, bus, or driving on a road trip by car, you can have everything you need in convenient sized packaging that makes it easy to pack. 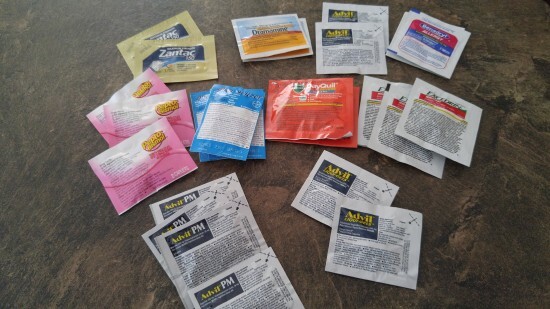 I have had many trips in my past where I wish I had something to take when I wasn’t feeling good. It is always my luck that sometimes when I travel, that I feel a cold coming on. Maybe you get an upset stomach after eating and you wish you had something to take. How about those times when you over exert yourself while trying something new and you wanted a pain reliever to help get it under control. 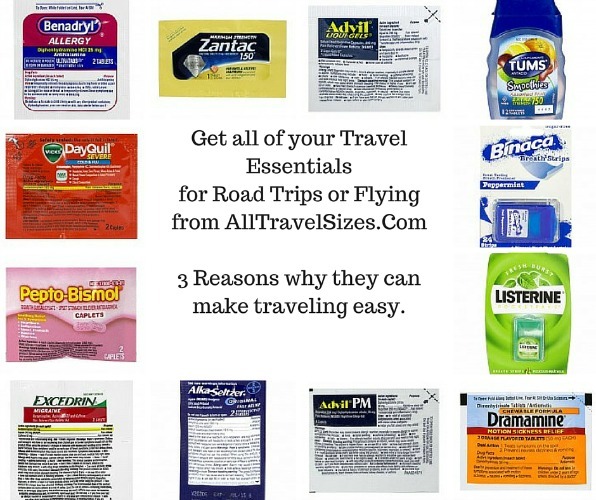 Why do you have to go hunt down a pharmacy or a convenient store to buy an oversized or overpriced bottle or box of something, when you can have the perfect sized doses with you already from AllTravelSizes? Have you ever took a full bottle of shampoo in your suitcase, and ever had it open and spill all over everything? We have. It can ruin the moment, or your mood for a little bit, while you find a way to clean it up, or get your clothes clean after it happens. Why not just carry travel sizes with you ,that are convenient, and perfect for any trip whether you fly or take to the road to where you are going. 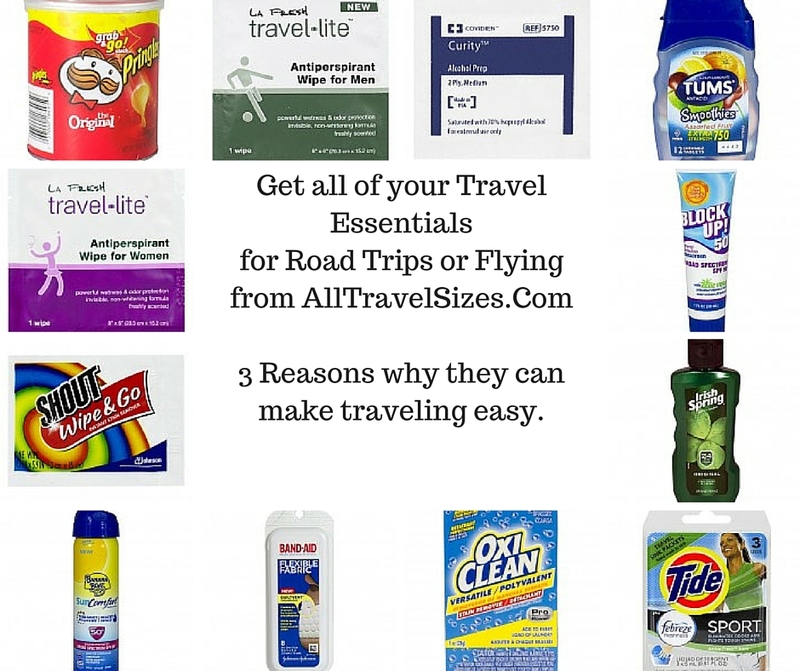 With things like Body Wash, Shampoo, Lotions, Toothpaste, Deodorant, Sun Screen and more, you will never be without what you need with your order from AllTravelSizes. AllTravelSizes has some amazing snack selections as well. 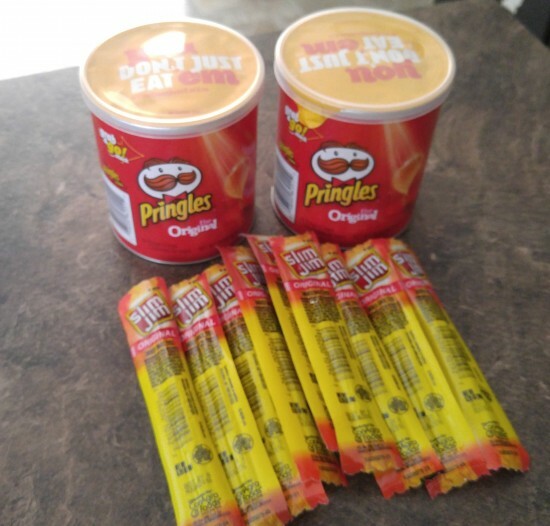 My wife Michelle, loves the smaller sized Slim Jim’s so I got her some of those in case she gets a little hungry while we are in the room. Have you ever walked by the snack section of the hotel lobby, or seen the price list of the snacks they have in the room sometimes? Why not be ready ahead of time, and get your own. Maybe you want some Shout Stain Wipes for those occasional moments where stuff falls on your favorite shirt. They also sell power adapters for other countries. What about those times when you need a charge cord for your device. The ordering process is easy. Just select the items you want, add them to your cart, and then you can select how many of them you want before you check out. Did you know that all domestic orders over $40 qualify for free shipping? Now you do! Use my code above to save 10% on your order. Overall, I love their website. 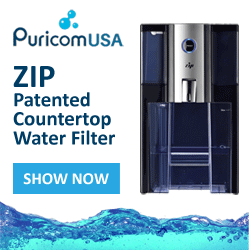 They have a selection of products that fit the needs of men, women, and children alike. With the large amount of inventory they carry, you are sure to find what you need for your next adventure.